Come and hear from the people whose lives have been touched by Fairtrade in a brand new film produced for Fairtrade Fortnight 2015, and see the Fairtrade Yorkshire Tour de France short. We’ll have music from acoustic duo The Spectacles and sister act Penny and the Poppet, who mix monologues about body politics, anemone metaphors and the occasional bit of rhyming French, all set to twinkling synth riffs. And courtesy of Access to Music, we have the big four-part harmonies of acoustic soulsters Armonia. PLUS a Fairtrade Quiz with a chance to win a Fairtrade hamper. 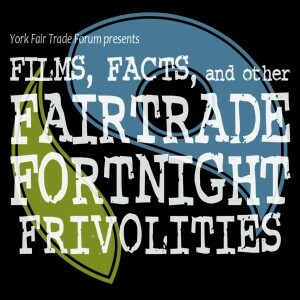 Fairtrade Fortnight is 23rd February – 8th March. Download the event poster here (PDF) if you can display it anywhere!